Imprint Method: Decal, Imprint Method: Direct Print, Imprint Method: Digitek - Create a long-lasting promotional campaign with the everyday practicality of this mini square mint tin. 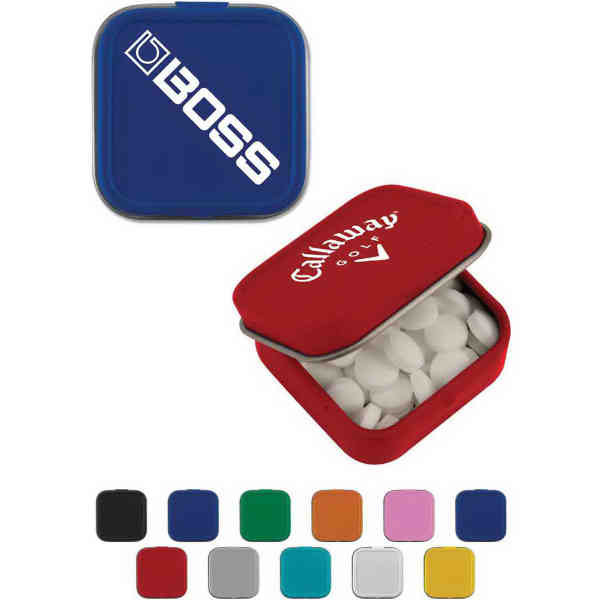 This high profile promotional tool comes packed in a mini square mint tin with a hinged lid. It comes complete with a full color decal imprint to complete the promotional look. It holds approximately .25 oz. of sugar-free mints. The tin measures 1.45" x 1.45". Add your custom imprint and create something that's perfect for tradeshow events, employee gifts and more! Size: 1.45 " x 1.45 "